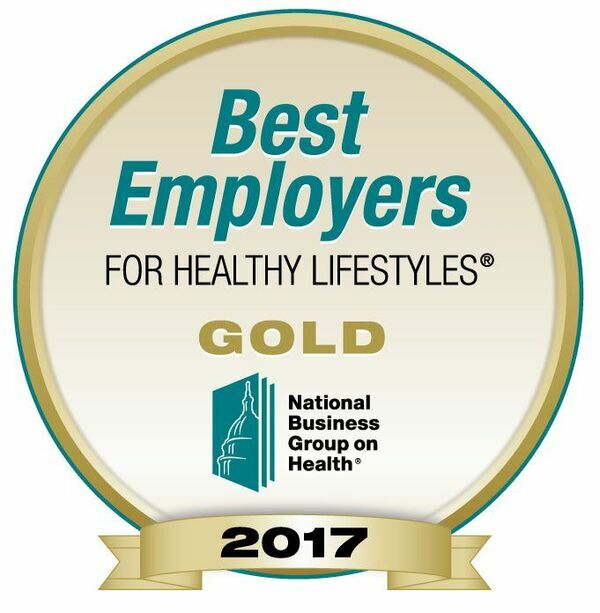 AUBURN HILLS, Mich., September 27, 2017 /3BL Media/ - FCA US LLC was recognized by the National Business Group on Health (NBGH), earning a gold medal for its comprehensive programs that enable a healthy workplace and encourage healthy lifestyles for both employees and families. It was the ninth consecutive year the Company has earned this important benchmark and the seventh consecutive year FCA US was the only automaker to earn an award. The mission of the Best Employers for Healthy Lifestyles® award program is to recognize the best workforce well-being programs in the U.S., particularly those with a holistic approach encompassing financial, emotional, social and community well-being. FCA US was among 48 major U.S. employers that received the 2017 Best Employers for Healthy Lifestyles award on September 26 during the NBGH’s Workforce Strategy 2017: Engaging for Change conference in Austin, Texas. Since 1985, the Company’s wellness program has evolved to meet the needs of employees and their families. Today, FCA US provides a variety of integrated health plans with preventive services. This comprehensive approach to supporting employee well-being includes access to health portals, UAW benefit representatives, a Health Advocate (RN) for salaried employees, an EAP representative for all employees, on-site medical departments, 25 dedicated wellness staff members, fitness centers, and an on-site retail medical clinic and pharmacy. FCA US is committed to "4URHLTH," a program designed to support overall well-being that empowers employees and their families with access to comprehensive tools and resources for leading healthier lifestyles.